The Official "Street Sparring" Gloves of Gracie University Headquarters! 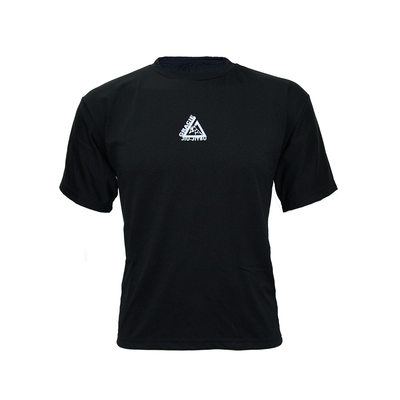 Official Gracie Jiu-Jitsu 5.5oz. Sparring Gloves has been added successfully to your wishlist. In a fight, whoever manages the distance, manages the damage that can be done! The one major shortcoming of regular jiu-jitsu sparring is the lack of consideration for the "striking distances" that happen so readily in street fights. Although regular sparring takes place every day at Gracie University Headquarters, students wear these 5.5 oz. gloves for "Street Sparring" at least once a week to ensure that their "distance management swords" remain sharp at all times. Whether you are training at a sport BJJ school or at a Gracie Garage, we recommend you do the same! To see Ryron demonstrate the difference between street and sport jiu-jitsu, watch the video by clicking on the "Videos" tab. Rener's Size: Both Rener and Lyoto are wearing medium size gloves. There are currently no reviews for Official Gracie Jiu-Jitsu 5.5oz. Sparring Gloves, but you can be the first!